Skin tone of every person is different and so is the taste of the person regarding what he likes to wear or not. 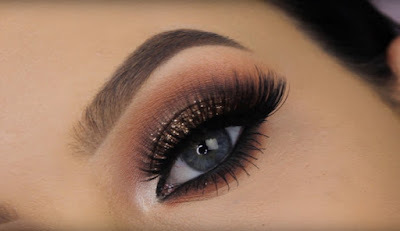 The makeup looks of a person is dependent to some of the major things which are very essential to look into if you want to apply makeup to your face. These six things define how good looking are you by the society. A face without makeup is also never bad in any way but obviously the idea of a no makeup face is something which seems pretty weird to the society now-a-days. They are very used to makeup and if you are someone who is new into this business then the best thing for you is to go through this article which would guide you through how you should choose your makeup. The first step for you is to determine your skin under tone which is done mainly by wearing a white shirt or any white cloth. See what color is being reflected through white and that is your skin undertone. This is mainly of two types. One is warm and the other is cool. The tones of skin which is what we see through our eyes are many but these are rare so knowing these is very important for incorporating creative makeup ideas. The next major step is of identifying your skin color. It may be so that people with same skin color have different undertone so be careful before finalizing your notions about the skin color and skin undertone of yours. These are very important if you are going to wear makeup. Makeup artist have a very thorough knowledge about this. You can also gain it by reading their suggestions and articles or you can also know through this one. The makeup products comprise of mainly the foundation, blush, eye shadow and lipstick. In determining the right foundation it is very important to know whether your skin changes its complexion from summer to winter. In winters the skin of some people become slightly darker thus they need to switch between their foundations. You should try the foundation on your face and in some cases it is given very clearly whether the foundation is made for cool skin or warm skin tone. The next important part is a blush. The use of a brush is mainly that it highlights your skin but we should not use it much as at times it starts looking a bit clumsy. The third important thing is eye shadow. They are used for highlighting one’s eyes. The work is quite similar to that of mascara. It should also be one that complements your skin color and it differs amongst different skin tones. The last important part of a makeup looks is lipstick. It is considered as the most important part of a makeup and depends largely on the skin tone. If the tone is not that fair then going for vibrant colors such as red can look absurd. This is known by Trocco as it manufactures every year a range of best colors for makeup.